I worked for The Oakland Post from January 2012- April 2013. While on staff, I started as a Reporting Intern, was promoted to Multimedia Reporter and later Local Editor. Some of my beats included Meadow Brook Hall, Rochester Happenings, Campus News and Student Fashion. Below are some of my favorite written and visual works. 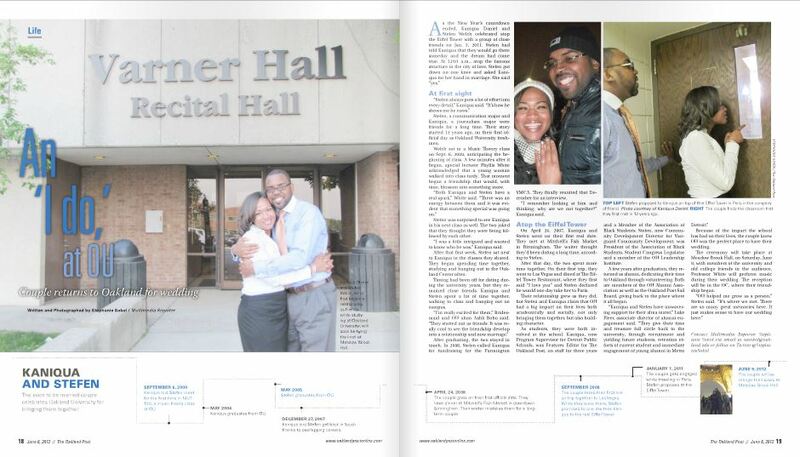 Kaniqua Daniel and Stefen Welch met at OU and were married at Meadow Brook Hall summer of 2012.